Divinity Designs, LLC Blog: Customer Card of the Day - Shirley Qu aka wannabcre8tive! Customer Card of the Day - Shirley Qu aka wannabcre8tive! Hi, everyone!!! Hopefully spring has sprung in your neighborhood, but if not, we have a peek of spring for you with this week's Customer Card of the Day! Congrats to Shirley Qu aka wannabcre8tive for being featured this time around!! When I saw this beauty over at Splitcoast Stampers in the ODBD gallery, it jumped right off of the page! 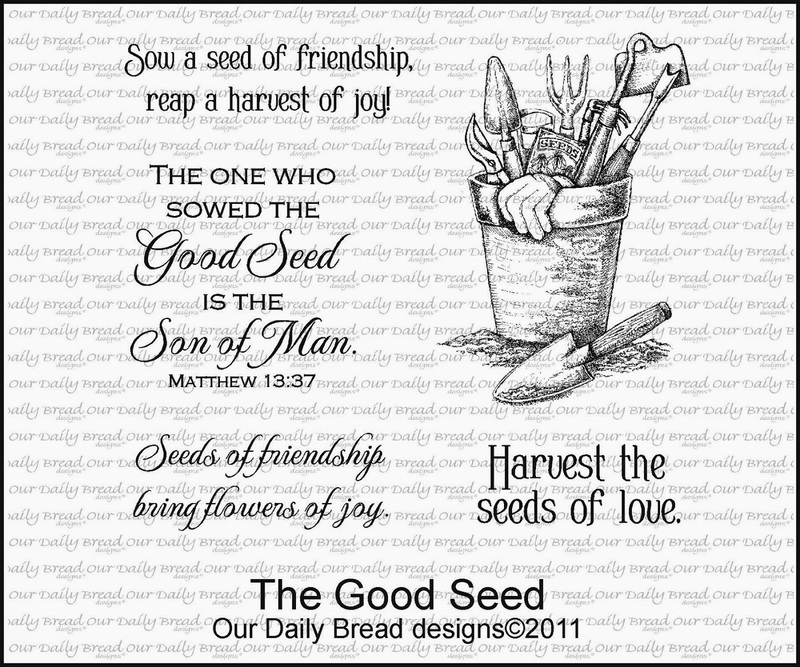 I love the cheerful spring colors and how the image from "The Good Seed" was colored so beautifully!! The orange sponging and purple butterfly really tie the whole card together! Fabulous job, Shirley!!! To see more of Shirley's beautiful artwork, please visit her blog, My Pinkie is Inkie (fun blog title, huh? ), or her Splitcoast gallery, wannabcre8tive, and leave some love while you're there, k? Lovely card. It does jump at you. The beautiful bright colors say "Spring". Congratulations on being customer card of the day. That paper really enhances the main focus so perfectly on the colors. Congrats Shirley for being the customer card of the day! Congratulations, Shirley! I love the colors on your card. so pretty, the papers compliment the image very nicely!